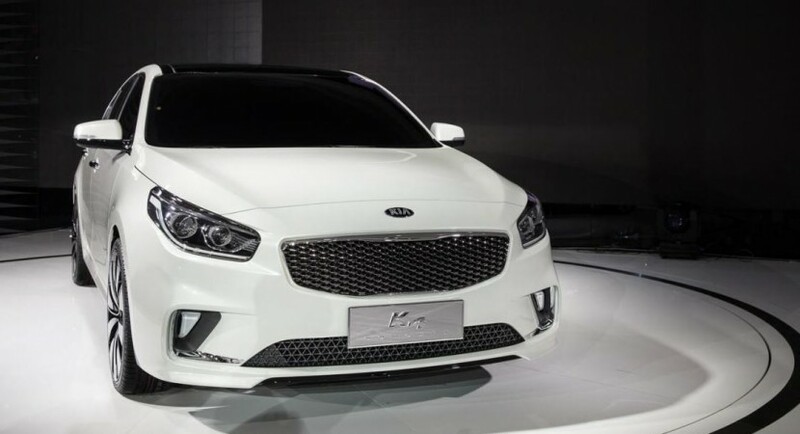 The Kia automaker has come at the 2014 Beijing Motor Show with its latest creation, which is the K4 Concept, the vehicle that will preview the production model, riding on the platform used for the Hyundai Mistra as well. The Kia K4 will enter production in Yancheng, Juansu province, with the one-off car being 4.72 wide, as it rides on a 2.7 meter wheelbase. The Kia K4 Concept is aimed at the young family costumers, with ages between 30s and 40s and will hit the market somewhere in the latest quarter of 2014. The overall features of the vehicle include a rear camera, with the cabin offering a lot of space. Talking about the cabin, inside the Kia K4 comes equipped with a lot of goodies like the updated UVO infotainment system, Supervision, instrument cluster and so on. Under the hood, the Kia K4 Concept will be sported with a 1.6-liter GDI turbocharged gasoline burner, or 1.8-liter and 2.0-liter aspirated engines. All engines of the Kia K4 Concept will be hooked to a seven-speed dual-clutch transmission.